"White's Hill from Pine Mt." 16" x 20"
I've been working on this inside this evening. I painted over the pine bows, and will probably add them in again with more detail tomorrow. 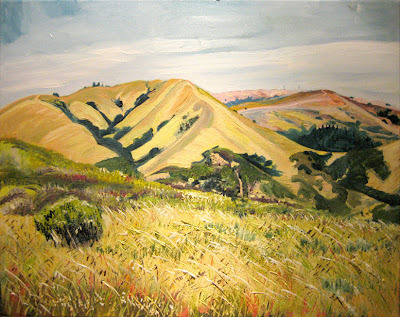 I worked on the details in the hills and reworked White's Hill almost completely. 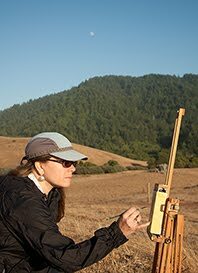 It is really hard to not complete a plein air painting on sight because once you bring it home, any photos you have taken for reference are never quite the same angle/size/view that you were seeing on sight.